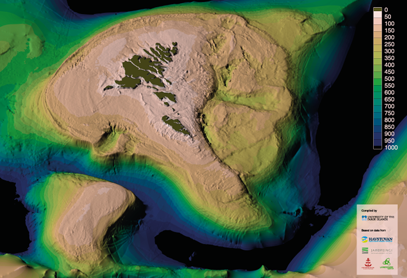 The Faroe Marine Research Institute has printed a poster of the seabed around the Faroe Islands. The map is made at the University of the Faroes by oceanographer Knud Simonsen. The poster is available in two sizes.